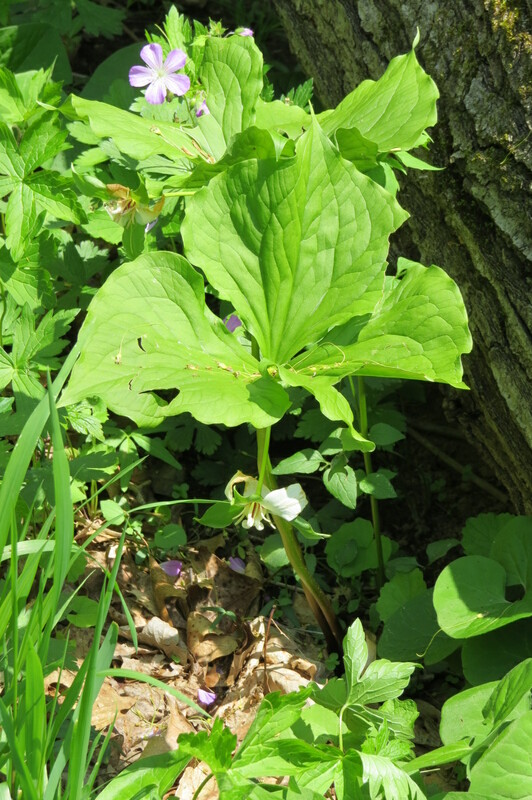 Saturday, May 23 was cool and cloudy, but two of us were treated to some lovely displays of wildflowers at Boyce Mayview park in Upper St. Clair. From the Boyce Rd. 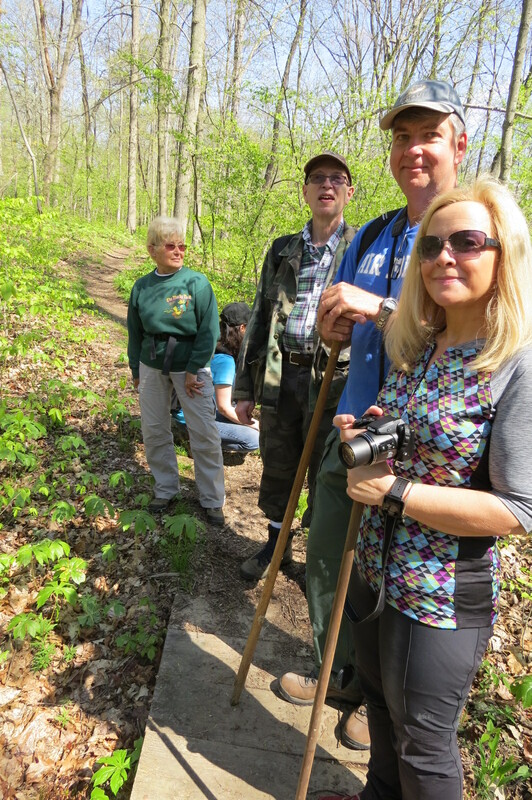 parking lot, we hiked the Wetlands, Duckbill and Trillium Trails. 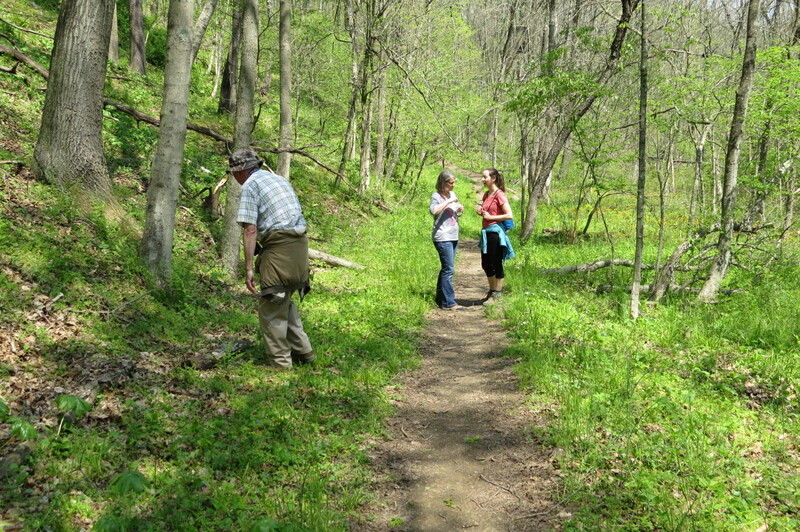 Highlights were gorgeous hillsides of Blue Phlox and Toadshade Trilliium, and a lovely patch of Large Flowered Bellwort. 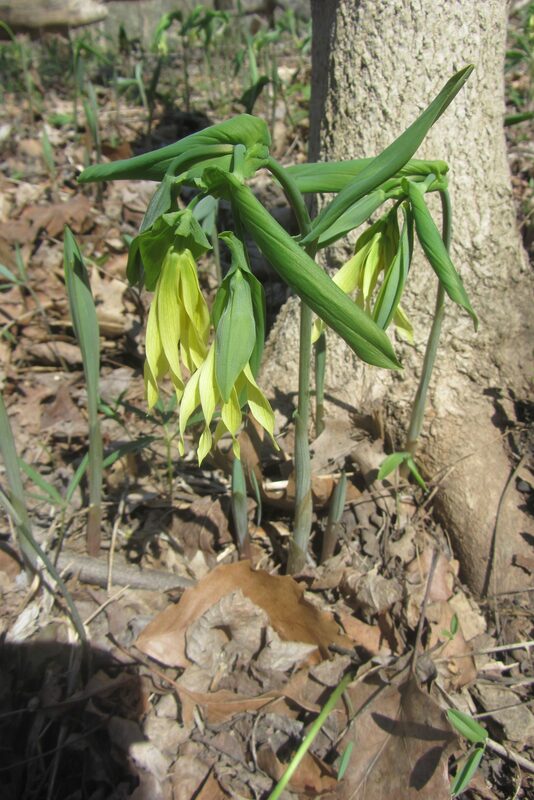 Also seen were Dutchman’s Breeches, Toothwort, Larkspur, Golden Alexanders and Lesser Celandine. 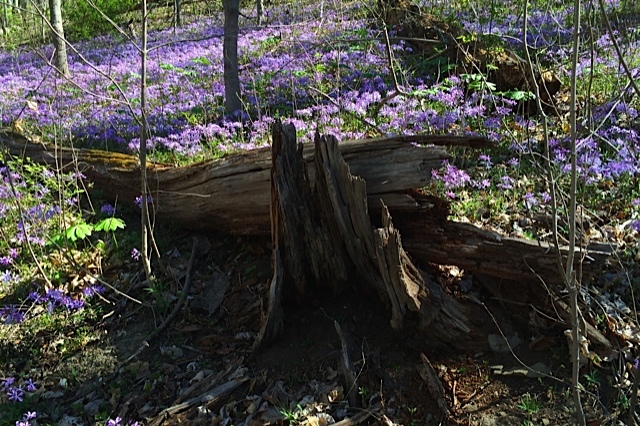 Past their prime were Trout Lilies, Hepatica, Spring Beauty and Bloodroot. We got a good look at a Towhee, but missed the Blue Herons and Great White Egrets seen earlier. 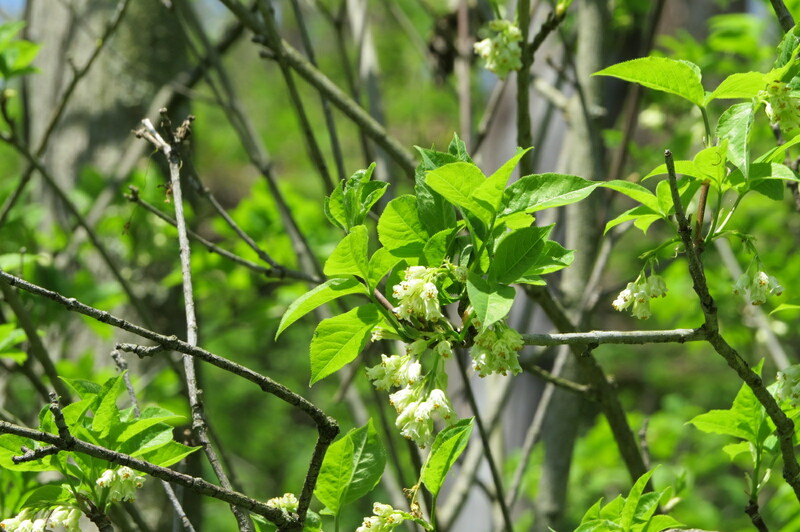 Click here for a list of the flowering species we found and more photos. 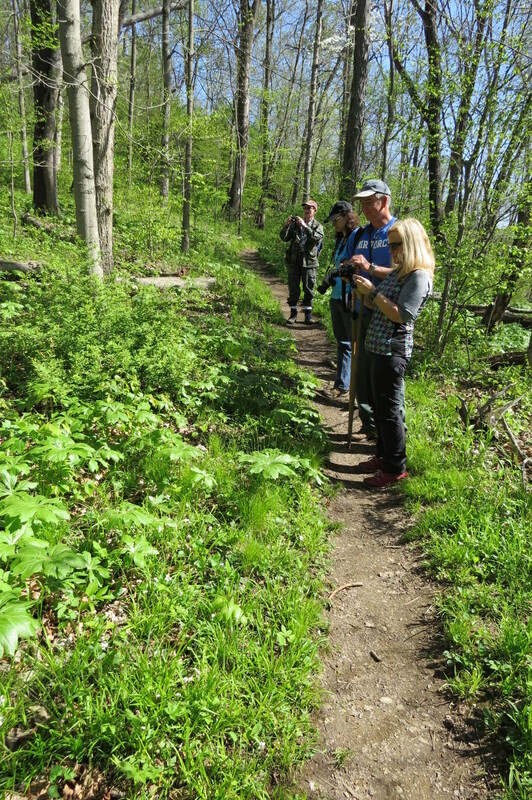 On a cloudless morning, ten people attended our nature walk at Raccoon. The temperatures went from mid 50’s to low 70’s for the 3 mile loop on the Jennings and Audubon Trails. Over 50 species were in bloom and another handful in bud. 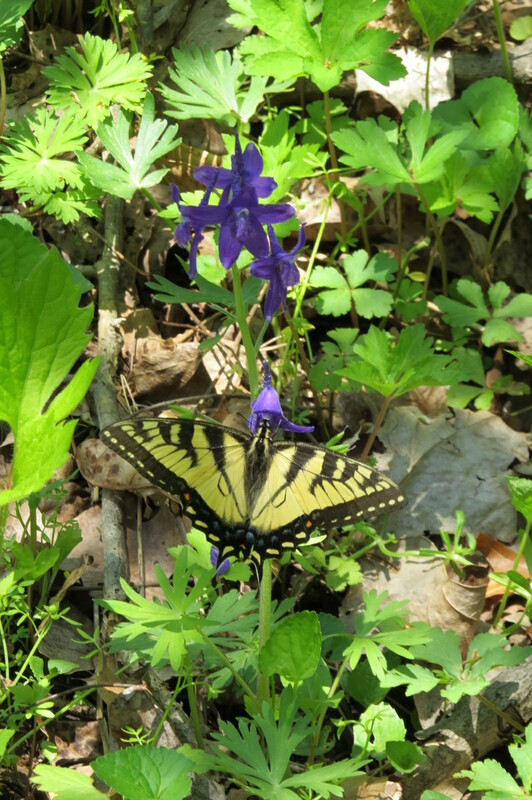 The hills sides were covered with Dwarf larkspur and the lowlands we re dense with spring cress and golden ragwort. 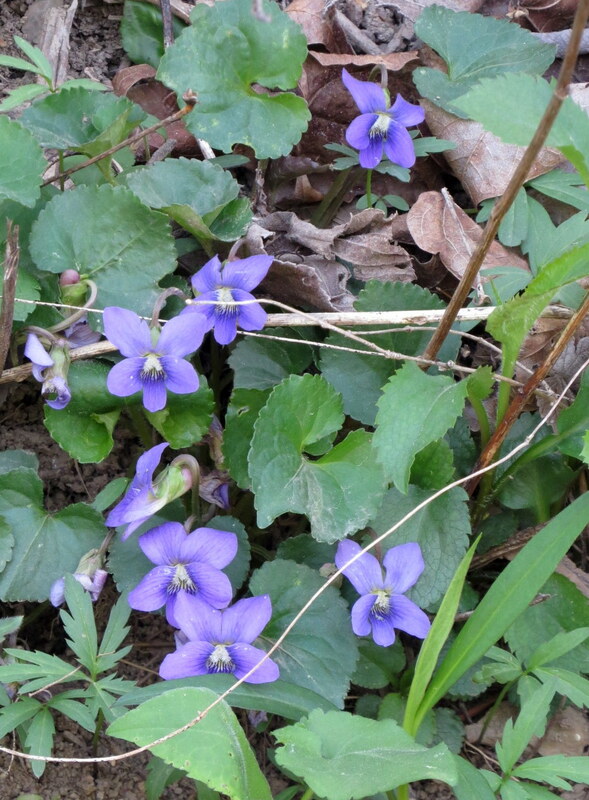 Violets abounded. 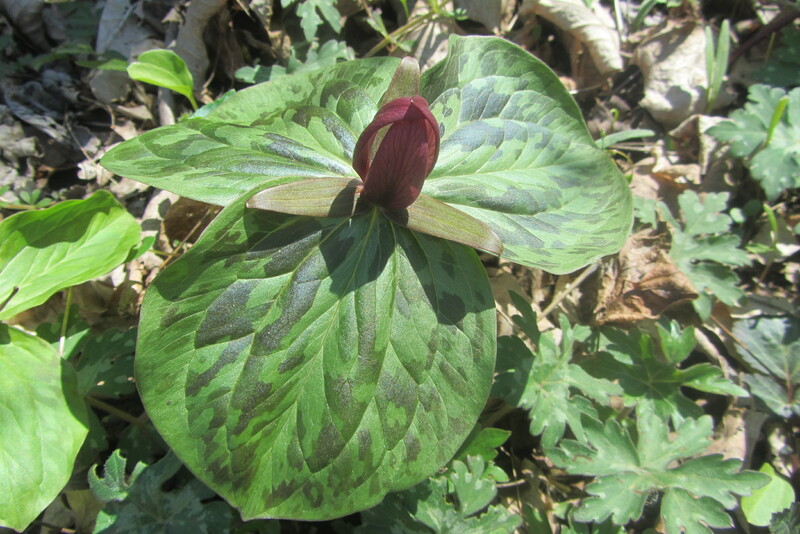 The trillium were waning but were still beautiful. 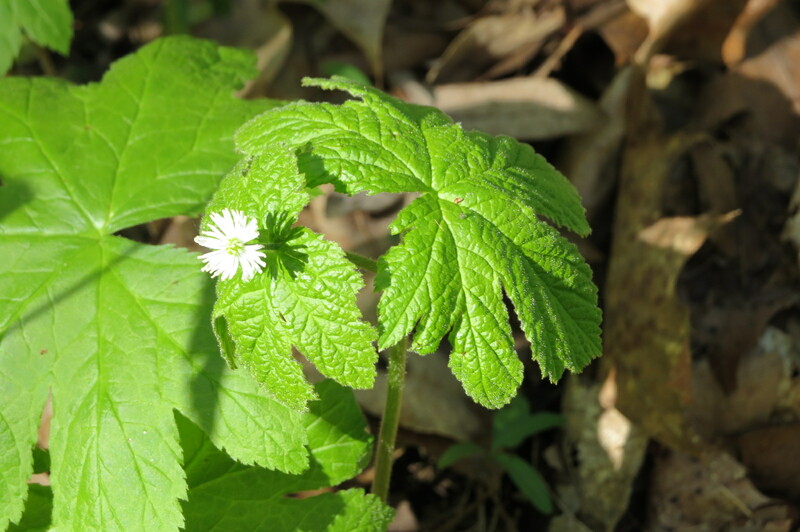 Goldenseal was still in bloom. 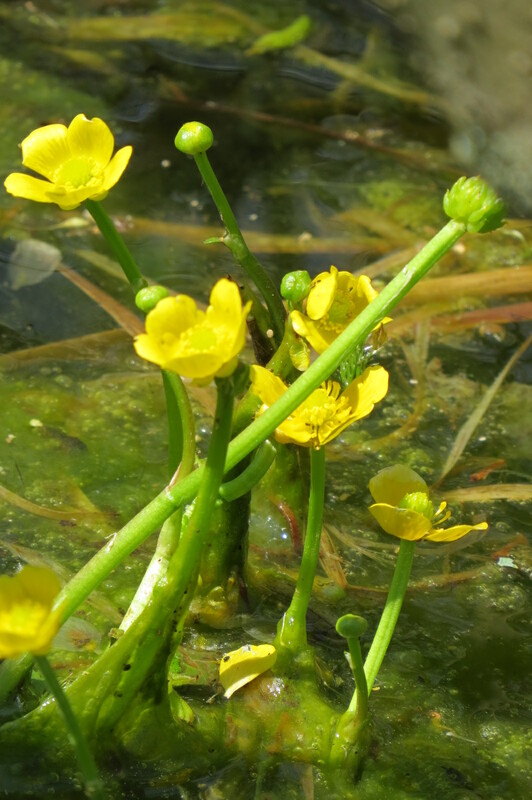 The highlight of the day for me was the abundance of the submerged aquatic buttercup, yellow water crowsfoot, Ranuculus flabellaris, which was a life plant for all attending.